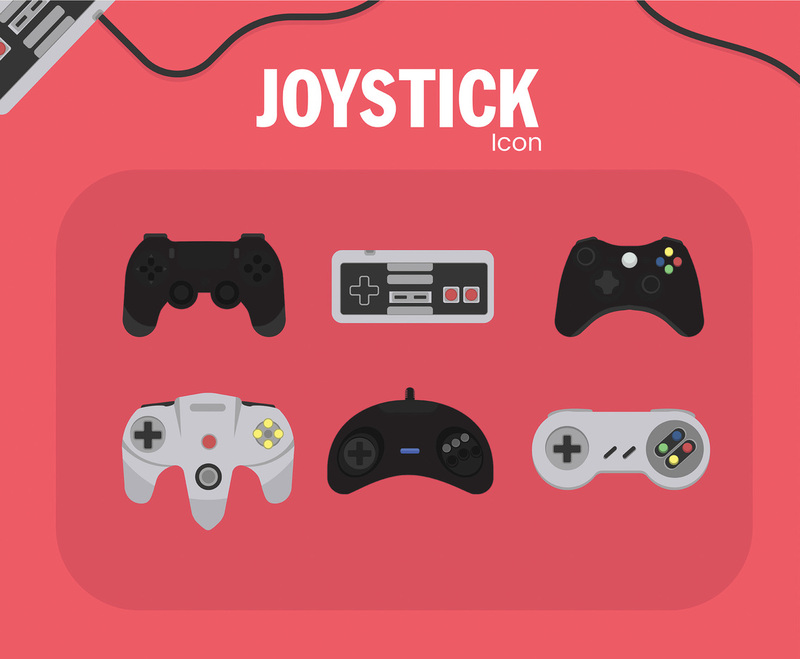 Here are six different icons representing various models of joystick with pink background. I hope you can benefit from this design. Enjoy!